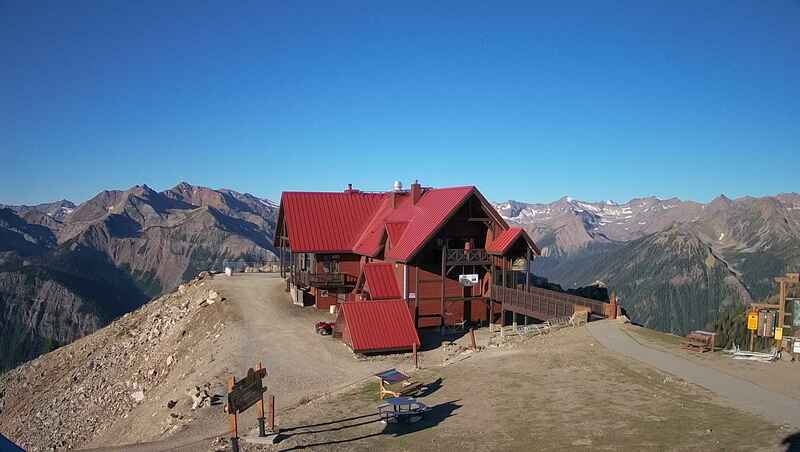 Another season "is over" at Kicking Horse andVagabond Lodge. We have closed our doors for a month or so for a well needed break. It was a great one with some awesome return guests and a lot of great new ones. Lori and I thank everyone. The resort reopens and so does Vagabond Lodge for daily operation throughout the summer on May 27th until September 25th. It was a great snow year from start to finish. And what a finish! We don't usually get much spring skiing but this year we did big time. The last couple weeks were the warmest we have ever had to finish off the year with temperatures ranging form 15C up to 20C. That meant the window for the best skiing starting about noon. And with all the great snow pack, it was beautiful from top to bottom. We had some fun. It's not over until the (no disrespect intended) the fat lady sings. We have had an amazing run to the finish at Kicking Horse with the best spring skiing we have ever had here. Great snow from top to the bottom with not many challenges in the way. In other words...no major brown spots on the hill or big rock gardens to try and avoid. And the weather has been sunny and warm..and not too hot. It truly has been outstanding. We closed the doors at Vagabond Lodge last week and have been enjoying the last couple of weeks. Today was originally supposed to be the closing date but a few weeks ago the resort gave us a "bonus weekend' on April 15/16/17. So I get to rest my knees for a few days and have a few more turns on the weekend. We are getting some heavy bookings for next ski season already which is nice. I guess the great conditions this year has helped and the low Canadian dollar. But I think generally speaking the word is out that Kicking Horse is a fabulous ski resort. Book your stay for next year by giving us a call at 250 344 2622 or email info@vagabondlodge.ca. We have our 10% Early Bird Booking in effect until October 31st but may change that date if we keep getting such good response for next season. Some photos from this past few days here at Kicking Horse.